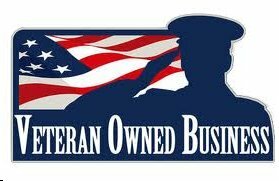 your guaranteed lowest price ! 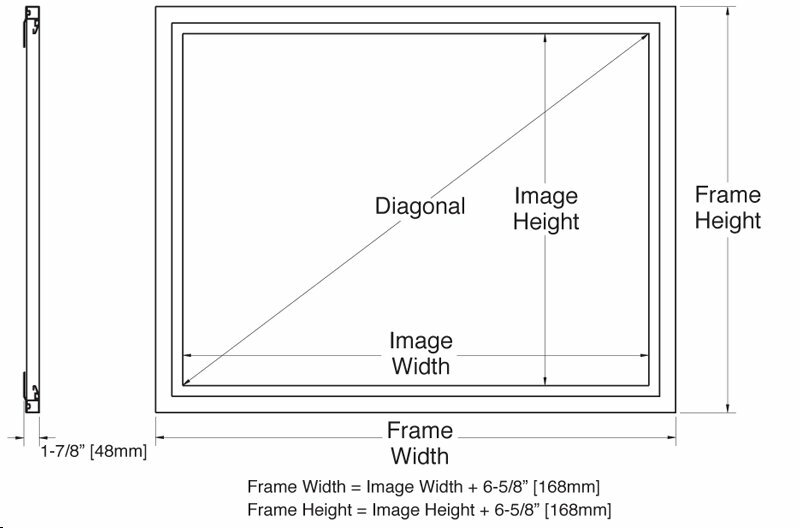 Seamless screen sizes from 4' all the way up to 98.5' diagonal !!! 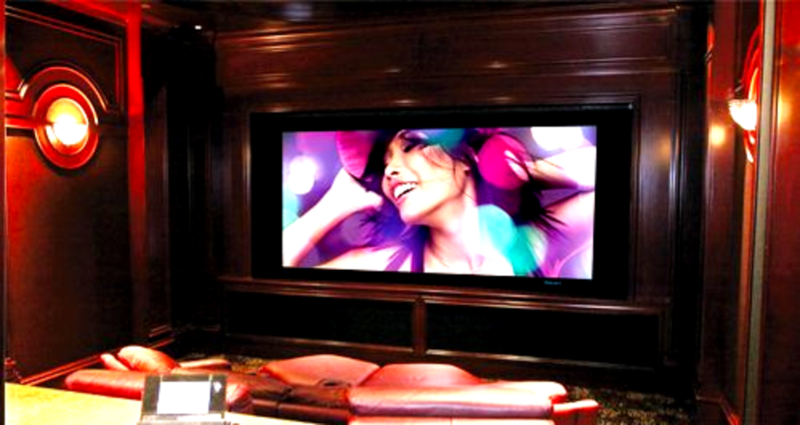 The Luxus Deluxe Screenwall provides a picturesque appearance within any atmosphere. As one of Stewart Filmscreen’s most popular fixed models, this 3.25˝ wide, beveled edge frame was strategically engineered for easy assembly and installation. 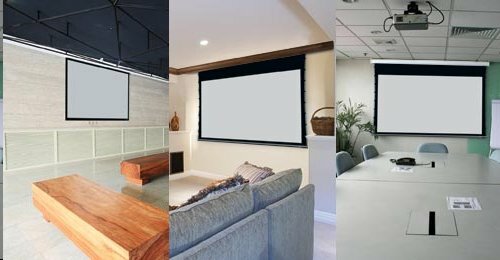 This contemporary screen model is great for use in a home theater, boardroom, auditorium or any other location in which a projection screen is to be utilized. 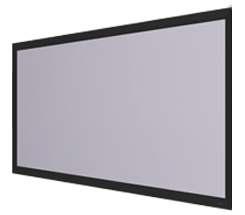 Available with any of Stewart’s front or rear projection materials, the Luxus Deluxe Screenwall allows for a perfectly tensioned screen surface. The exclusive VeLux™ appliqué finish absorbs over-scan and also helps to increase perceived contrast. We recommend the "StudioTek 130 G3" Viewing Surface for light controled rooms, and the "FireHawk G4" Viewing Surface for rooms with ambient light. The Luxus Model A is ideally used in multi-purpose applications within the home. This basic style electronically controlled retractable model allows you the option of having the screen disappear when not in use. The Luxus Model A is available with variety of Stewart’s front or rear projection materials. 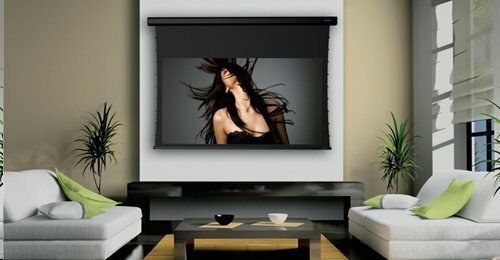 Our exclusive Tab-Guy™ tensioning system ensures a smooth and completely flat screen surface. Matte black over-scan borders* provide a perfectly masked image area. It is important to add only the amount of black drop needed. Side and bottom masking determined by the amount of black drop and image size. Designed and manufactured in the USA by Stewart’s award winning team, CIMA™ targets an audience that is broader and less need-specific. The utilitarian design and features of this product address the needs of most common residential and commercial 2-piece projection applications without compromising the superior performance, quality and durability you have come to expect from Stewart. 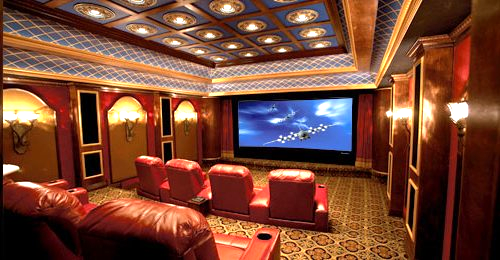 The key difference is, while Stewart professional projection screens are custom-engineered for optimal performance within a given application, CIMA™ will only be available in standard sizes and with a limited selection of high-quality screen materials. Cima utilizes newly developed, highly efficient, environmentally friendly, patent-pending methods of production, ensuring the customer will receive the highest performance at the best value. With CIMA™, you can receive high quality, dependable performance for many standard commercial or residential applications at a competitive price. 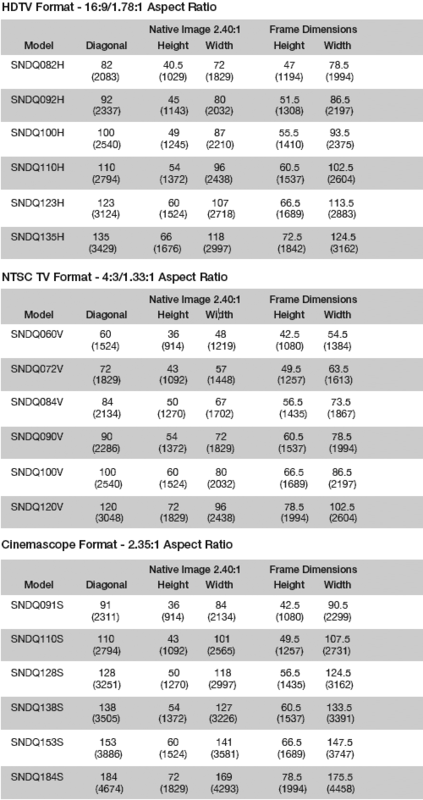 And, of course, when your application requires a higher standard of performance all the way up to perfect image fidelity from a screen that is finely tuned to the environment, the Stewart team stands ready to assist with the highest quality, most professional projection screens in the world...by Stewart Filmscreen. Welcome to the Stewart Family!